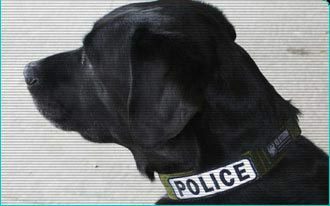 K9 Storm ID Collars are ideal for general purpose work as well as specialty profile narcotics and explosives detection. They are lightweight and extremely rugged. The D-Ring can be tabbed down for off-line searches. Regular: Neck 14"-28" Fully Adjustable. Follow the link for more info on our ID Collar Options.